Overcooked has been nothing short of a rousing success on Nintendo Switch. It had a rough launch, but with updates and improvements, it’s become a stand-out seller on the system, with Nintendo going so far as to mention the title by name in its 2017 Fiscal Year Results Briefing. It’s no wonder Nintendo decided to include the sequel, Overcooked 2, as part of its E3 this year. I took the demo for a spin with two Nintendo representatives -- getting into it so much I missed Charles Martinet walking right behind me -- and had the time of my life with one kitchen in particular. Overcooked 2, like its predecessor, is a multiplayer cooking game where a team of up to four players manages a kitchen preparing food, filling orders, washing dishes, and dealing with whatever issues come up. 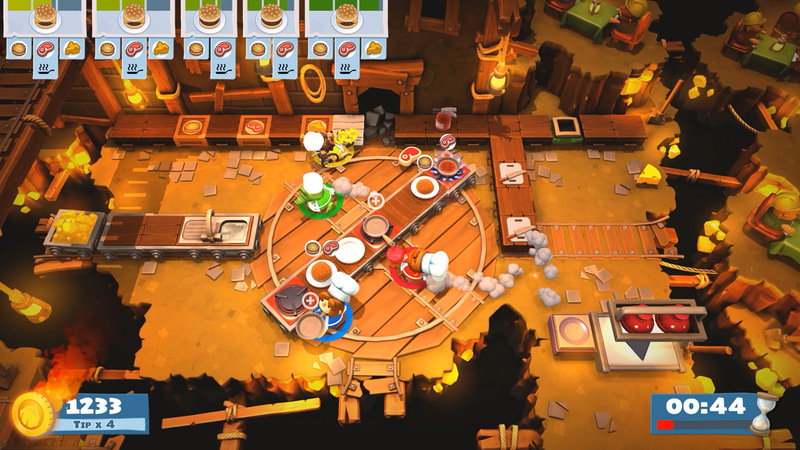 Each kitchen is a timed challenge and players are rewarded with stars based on how well they do. The first kitchen of this demo is pretty standard. It’s not the first in the game, but it is simple enough to get the basics across. All we are asked to do is prepare sushi, giving me the chance to re-familiarize myself with how the game plays. A new mechanic in Overcooked 2 is the ability to throw food. If there is another player across the kitchen who needs an ingredient, I can throw it to them rather than run it over myself or have them come and get it themselves. With the three of us, this element didn’t add much to our strategy, but I can’t imagine the game won’t somehow work it into the core concepts of later kitchens. So this first kitchen is pretty run of the mill. The second adds moving walkways that keep players going in a big circle around it. Completely manageable as well as appropriately chaotic. But it’s this third kitchen that blows me away. It starts with the three of us in a tiny hot air balloon basket making salads -- as you do -- when storm clouds start to roll in. The basket begins to sway and the settings of the kitchen start shifting from one side of the basket to the other. Our once idyllic and highly organized kitchen is shuffling around like tables on the Daisy Cruiser. Also, there are spot fires, because as any seasoned hot air balloonist will tell you, baskets catch fire. So we’re preparing salads in a swaying basket that’s partially on fire, still filling those orders I assume are being sent out to the other hot air balloon enthusiasts, when this storm has had its fill of us. The action stops as the kitchen is caught in some violent weather that sends it crashing down into a sushi shop, just in time for the lunch rush. So now, not only do we have to make salads in our original kitchen space, but we have to prepare sushi as well, taking the ingredients off conveyor belts located in the corners of the space. Also, there are spot fires, because as any seasoned chef will tell you, kitchens catch fire. This game is fire. 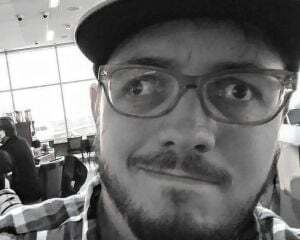 My memory may not be stable enough to remember everything I experienced at E3, but my trip through that kitchen is burned into my mind. It is pure fun and I can’t wait to see what other crazy challenges await when Overcooked 2 launches August 7, 2018.